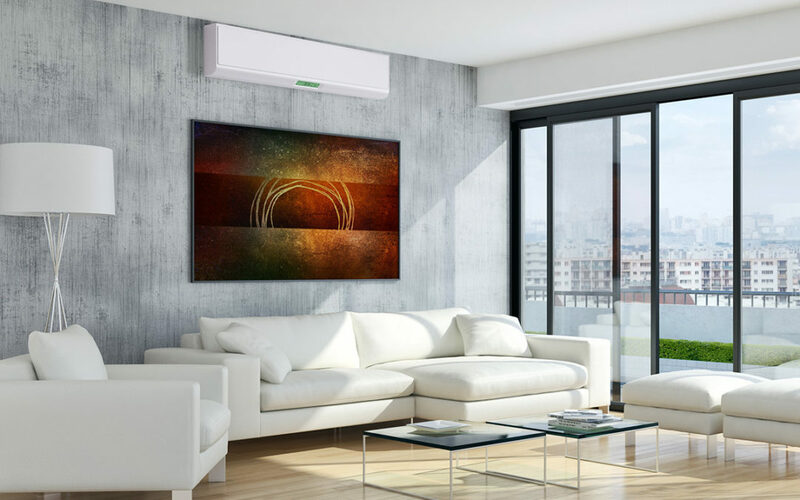 The most obvious benefit of having an air conditioning unit at your disposal is the ability to avoid the outside heat, but there are other benefits also. The air conditioner is undoubtedly one of the most useful and important inventions of modern times. It cools homes, businesses, and systems, and offers us respite from the heat. Back in the 1840s Floridian Dr. John Gorrie proposed that cooling hospital rooms would make patients more comfortable, aid their healing, and help avoid the spread of diseases like malaria. His method of cooling, however, was unwieldy and somewhat impractical. He had ice shipped from Northern lakes and streams that were frozen all the way to Florida to cool the hospital. Gorrie then designed a machine to create artificial cooling. It made ice using a compressor that could use a horse, steam, wind-driven sails, or water as a power source. This somewhat cumbersome machine was patented in 1851, and although never marketed, it was the foundation for both air conditioning and refrigeration. Willis Carrier, while creating a machine to control humidity, developed the first air conditioners. The benefits both Gorrie saw in cooling hospital rooms and Carrier saw reducing humidity in rooms led scientists to research exactly what effects excessive heat has on the human body. According to their research, when hot weather and excessive humidity are present, they slow down your body’s ability to transfer the heat generated by doing tasks to the air around you. When we are working and we produce more heat than we can offload, our heart rate rises and our blood vessels expand so they can rush more blood and heat to our skin to be offloaded. When it is too hot around us and we cannot release this excess heat, our sweat glands pull water from the blood to make sweat that can evaporate from our skin and cool us. When more blood heads to the skin for cooling us, we have less to operate our muscles, our brains, and the rest of our internal workings. Fewer nutrients are delivered to our cells, we become dehydrated, and end up suffering heat illness symptoms. A loss of coordination that causes accidents, lessened stamina, difficulty concentrating, irritableness, painful crampy muscles, dizziness and nausea, and ultimately unconsciousness can result from getting severely overheated. We need air conditioning in our lives in order for us to function optimally in our homes and in our jobs. Apex Air Conditioning is your air conditioning installation specialist. Let us come rescue you form the heat.